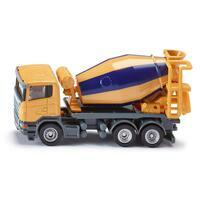 The MAN TG-A in its most impressive format as a 2-axle heavy haulage transporter to 1:87 scale. Design wheel rims with rubber track. 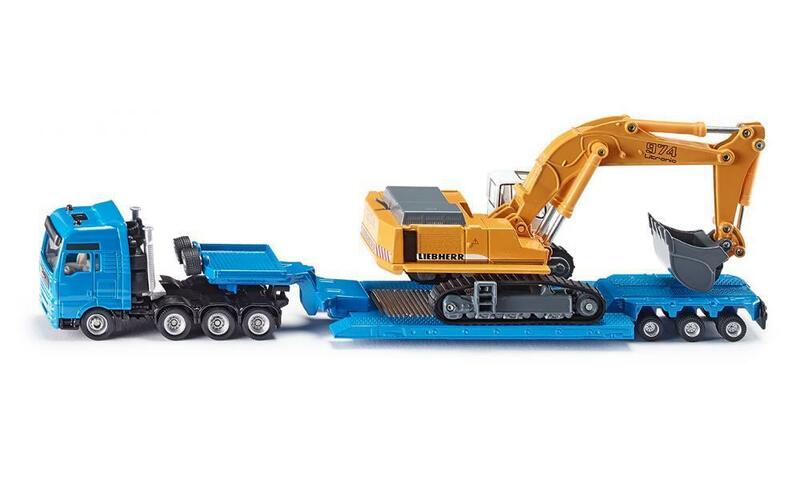 Very detailed modelling of exteriors and exhaust to rear of cabin. 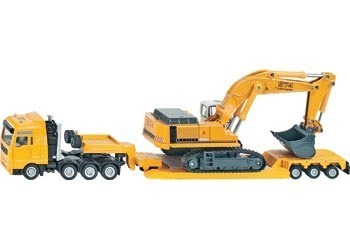 With coupling system - a 3-axled flat-bed trailer is coupled with swan neck. 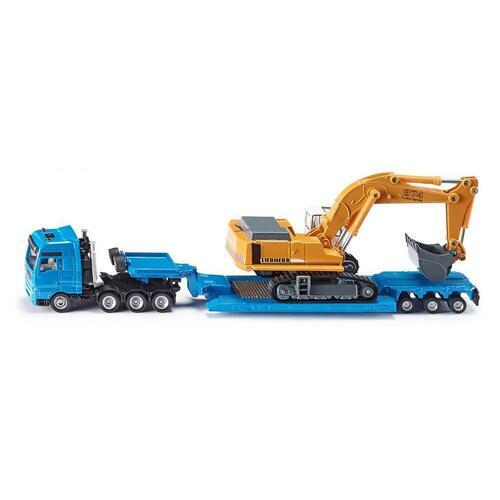 The flat-bed trailer is fitted with easy-to-manoeuvre mechanics for kids, so it's no problem to decouple it from the swan neck. All this makes for more realistic play, recreating the original loading function. 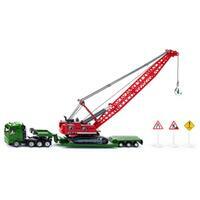 The loading vehicle is a large-scale Liebherr digger with low loader. Help other Siku Store users shop smarter by writing reviews for products you have purchased. 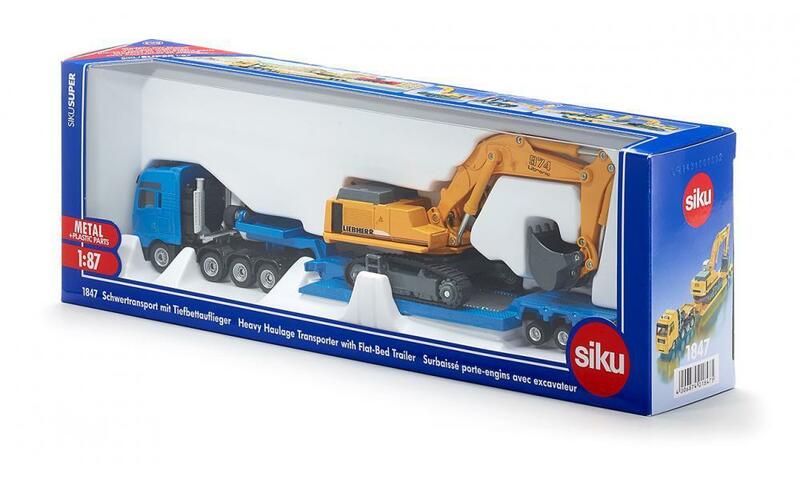 Siku has been producing quality die-cast model toy vehicles for generations. 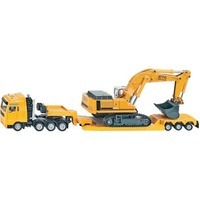 The extensive range includes cars, farm equipment such as tractors and combine harvesters, fire and police vehicles, trucks, construction vehicles, ships, cranes and many more. 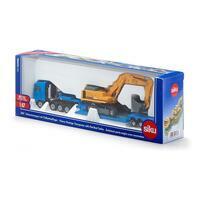 We carry the entire range of Siku toys that are available in Australia at the best prices.